Valentine’s Day is a day for celebrating love. There is no better way to show someone you love them than to make them a handcrafted gift. With Valentine’s Day around the corner, you may not have a lot of time for some big projects. 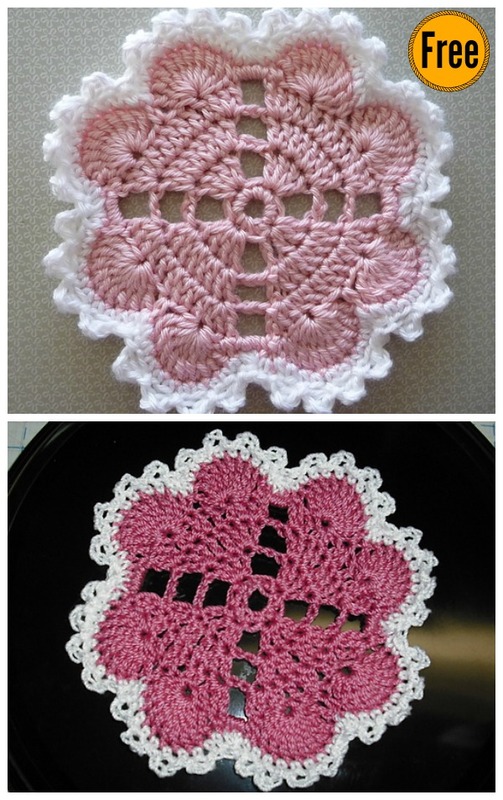 These Hearts Around Doily Free Crochet Patterns work up very quickly and only require little bit of yarns. The patterns are easy to follow too. Get started now. Your loved ones will smile every time they see it. Enjoy. You might also like Peppermint Pinwheel Doily Free Crochet Pattern.